News: Would You Like Your Testicles Grilled or Fried? Since I know you folks have an appreciation for exotic foods, here's another recipe for *balls*... grilled or fried, your choice. Courtesy of Serious Eats. 1. Set up your grill, preferably charcoal, so that there's room on the grill to cook the testicles indirectly. 2. Salt and pepper the testicles and place them on the grill for 10 to 15 minutes, until the outside surface is nicely charred. The tissue may burst during the process. 3. 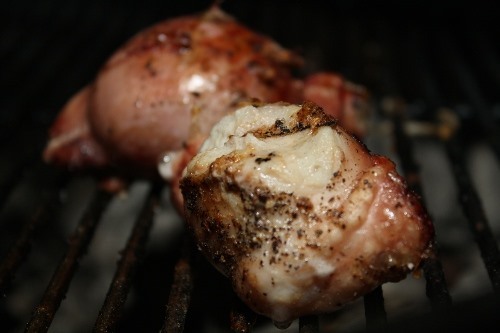 When they are done, remove the testicles from the grill and cut into slices 1/3-inch thick. Garnish with lemon juice and more salt and pepper to taste. 1. 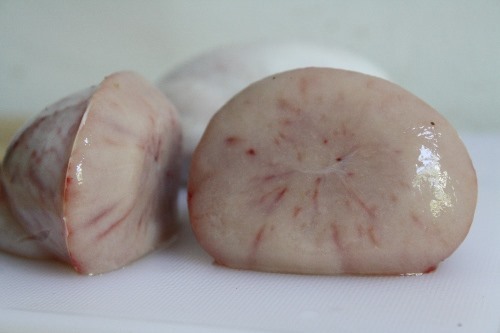 Cut the testicles int 1/3 inch slices, removing the membrane from each slice after it's cut. Set aside. 2. Combine the egg with the mustard in a small bowl. Have the panko crumbs ready for dipping on the side. 3. Heat the oil in a wok to 350°F. 4. Dip each slice of testicles in the egg, then dip into the panko crumbs. 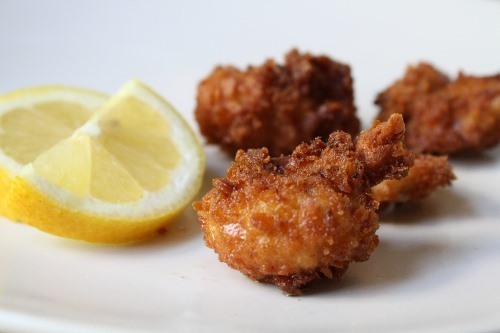 Slip into the oil and fry from 1 to 2 minutes, until golden brown. Remove from the oil and place on a rack. Serve immediately, with lemon to garnish. 5. Variation: For pan-fried testicles, place a heavy skillet over medium-high heat. Add approximately 3 tablespoons of oil to the pan. Coat the testicles in the egg and crumb coating and place into the pan. Pan-fry on one side for 2 minutes, taking care not to touch the disturb the coating on the testicle. Flip and pan-fry on the other side for 2 minutes. Serve immediately; garnish with lemon. Previously, Um, Yum? HowTo: Cook Testicles.